“How cool is it to go to the dentist & feel like you’re seeing a bunch of good friends?" "I would highly recommend Dentistry in Paradise!" "Dr. Miller was very helpful and friendly with any questions or concerns I had." "Dr. Miller gets to know you and seems to genuinely care about his patients." "My 7 year old daughter had to have the equivalent of a root canal.Dr Miller was amazing." "I appreciate that they are looking to increase my overall oral health!" "I am very pleased with his work, and I adore the staff here!" At our office, you're family! The patient needs Upper Arch Rehabilitation. Presents with Upper Anterior teeth that are stained, incisal edges (tooth edge) are worn down and chipped, and gumline recession is present. Placement of veneers and all porcelain crowns to restore her natural smile. 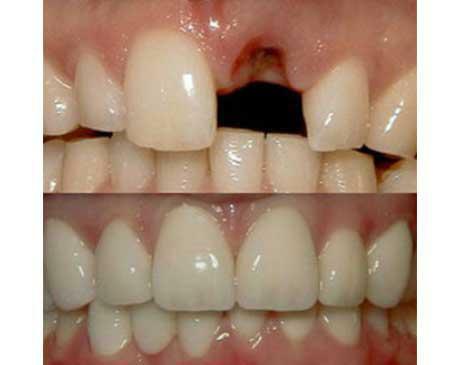 The patient needs a single tooth replacement of one upper central incisor. Smile and function restored with a Single Implant and an all-porcelain crown (cap) that fits securely over the implant. 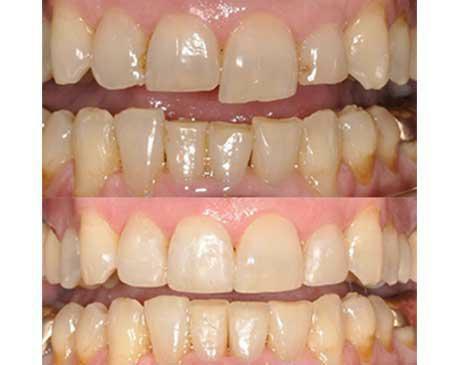 The patient had teeth that were stained and out of alignment and wanted to brighten and straighten the smile. 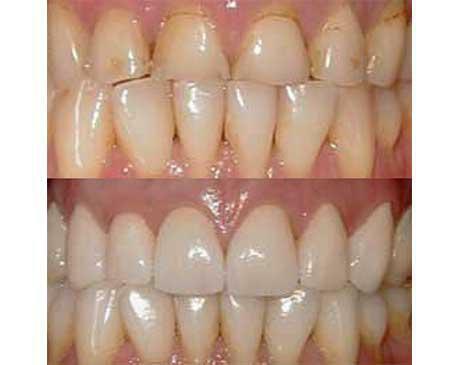 Cosmetic bonding was done using tooth colored filling material to re-shape and straighten the the teeth. No anesthetic or tooth removal was needed to achieve a beautiful new smile! 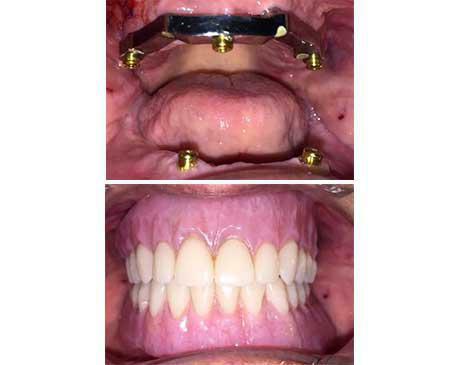 Implants placed to retain a new upper denture made without plastic covering the palate. Enjoy a movie or your favorite show with our mounted iPads and wireless headphones to make your next visit even more enjoyable!